After the the disappointing defeat to Royal Wotton Bassett the main points from coach Rob Rowbotham were to focused from the first minute of the game and to be strong in defence. This season the 1st XV has been notorious for their slow starts! This week was the complete opposite, will the returning centre Dan McIntyre breaking through a couple of tackles from a set piece move. After breaking the tackles McIntyre was able to score under the posts! Sprangle adding the extras. The visitors hit back immediately after a good restart caught Warminster napping and a knock resulting in an accidental offside penalty being committed. Supermarine opted to kick in the corner for a line out dangerously close to the Warminster line. The catch and drive from the line out saw the visitors power over! The home side then took control of the fixture! Dean Priestman took advantage of a great game break from second row Dan Bowman who was able to offload to the supporting Preistman. With still some work to do, Priestman was able to break through the tackle and dive over! Sprangle added the extras. Warminster quickly added another from the restart. Bowman was able to make a good catch from the kick, he quickly passed the ball to speedster Ross Williams in the Warminster 22. Williams was able to use his change of pace and fantastic step to navigate his way through the whole team to score a fantastic individual try. Sprangle added the extras again. Warminster would go on to secure the try bonus point. When centre McIntyre was put through a gap from a well delayed pass from fly half Jimmy Rees. McIntyre similar to his first score, then broke a tackle and sprinted into finish under the posts. Sprangle impressively managed to hit the cross bar from his attempt to convert! Lachlan Stuart also get in on the action with a fine individual try from the winger, with his impressive footwork was able to twist and turn his opposite number to run in and score. Sprangle missed the tricky extras. Warminster would go on and score two more scores with Preistman scoring his second and full back Tom Evans finishing off a good attacking move. Sprangle missed both attempts at he extras. Warminster although winning at half time seemed to have taken their foot off the pedal a little bit. The second half started and Supermarine began to take the game to the home side, using the boot well to kick in behind the Warminster defence! The pressure became evident with Warminster still trying to play with ball in hand making some handling errors deep in their own half keeping themselves under pressure! Supermarine scored their second try of the game on the back of some hard grunt work from their forwards before eventually crashing over! The rest of the game was mainly contested in the home sides half, with the amber and blues defence holding strong and keeping the visitors away from their line for the remainder of the fixture! Warminster has the final word with full back Evans scoring his second try when a loose clearance kick from the visitors defence was claimed by Evans, the full back used his pace and a great dummy to rush in from his own half. Rees added the extras. 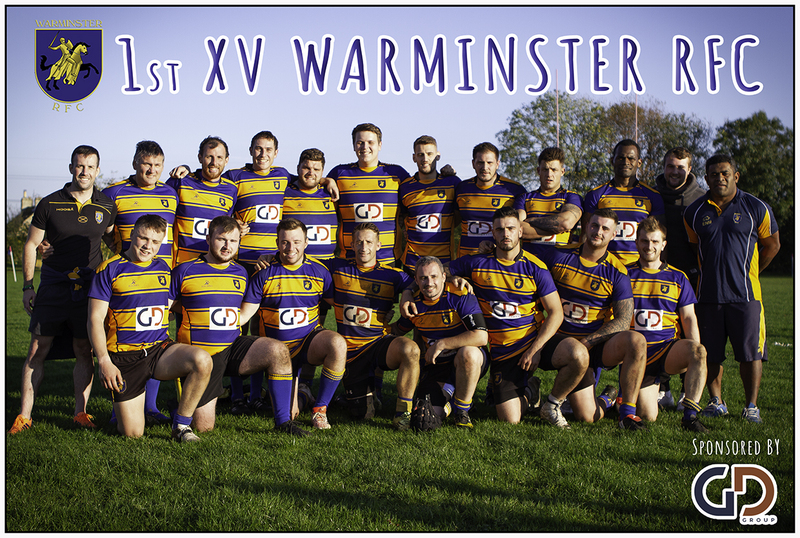 Warminster will be content with the 5 point win and maintaining a 100% record at home! The win moves them up to 3rd in the league! However after a fantastic start, the middle and 3rd quarter of the game, Warminster switched off and allowed Supermarine take dominance of those parts of the game! Club captain Jimmy Rees said ‘We were very good in the first half, making good decisions and playing an expansive game! But the second half we just switched off allowing Supermarine to play which we were very disappointed about’ The scrum was dominated by Warminster throughout the game which was very pleasing for the forwards coach. Captain Steve Rowbotham commented on the game ‘The first half the game was very good with 7 Tries being run in. Credit to Supermarine though, they could of just folded but they battled well in the second half and pressured us into mistakes’ It was also great to new signing Lachlan score his first try for the club. It was also great to see Jake Houston make his debut for the 1st XV, being rewarded for his hard work at training and performances in the 2nd XV. 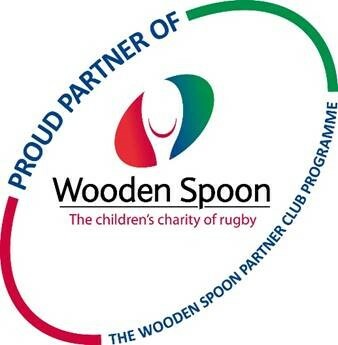 The 1st Xv are in cup action this weekend as the travel to Swanage and Wareham for their Quarter Final Fixture!